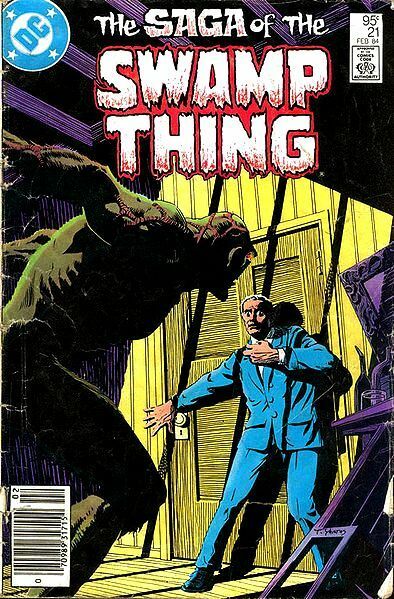 I had no idea there was a Man-Thing Power Record! I probably need to get that now. It's sits on display atop my action figure case next to a Cthulhu plushie with a couple of Man-Thing Heroclix (one with Howard the Duck on his shoulder, the other without). I found it at a 2nd and Charles earlier this year. ?..or maybe that should be Anton Arcane, who really may well be the most vile, horrific character Ive come across. As Ive said before Ive struggled with deciding if certain characters and/or their respective books are horror or not. 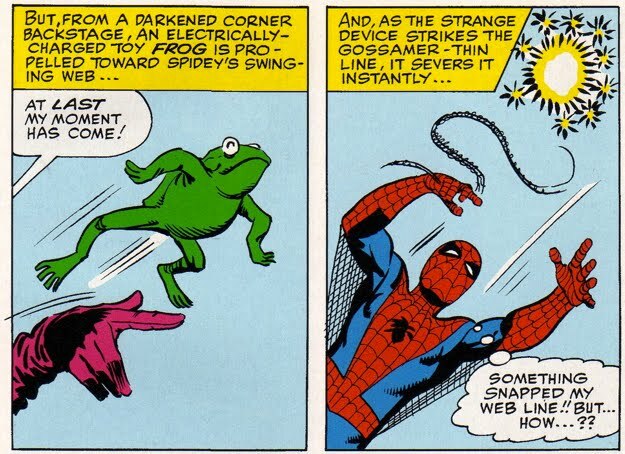 As an avatar of "the green" Im not sure that Swampy himself is, but the book itself has certainly contained some of the most disturbing things I remember reading in a Marvel or DC book. Then theres Anton Arcane, thats one messed up dude man, he gives ole Mister J a run for his money in the fruitcake race. Id been reading the book for a few months in the early 80s when DC dropped the Moore bomb on an unsuspecting audience. Like licking your finger and touching a power socket, instantly awake and paying attention. It was one of the first books I started importing, and I continued to do so for another 7 or 8 years. Long past The Original Writer I was kept captivated with a cast that was more than human, yet oh so human too. 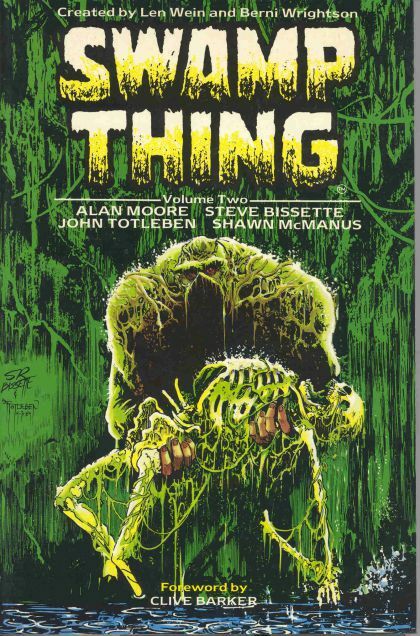 Then there is the lineup of artists who would grace the pages, the almighty Bernie Wrightson (yes I even read the older stuff too), Steve Bissette, John Totleben, Rick Veitch, hell even Tom Yeates was good. OK, this is probably the most tenuous of my 5 choices for this year's Long Halloween, but hear me out. 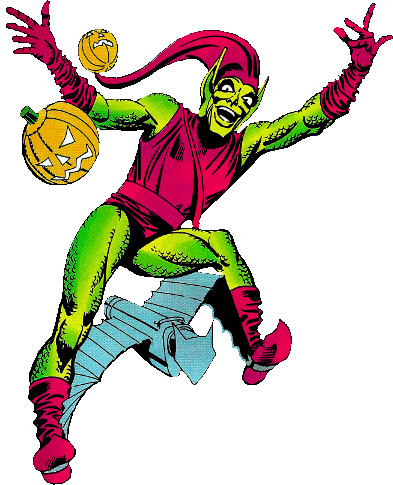 Clearly the Green Goblin isn't really a horror character per se, he's much more in the mold of a traditional supervillain. 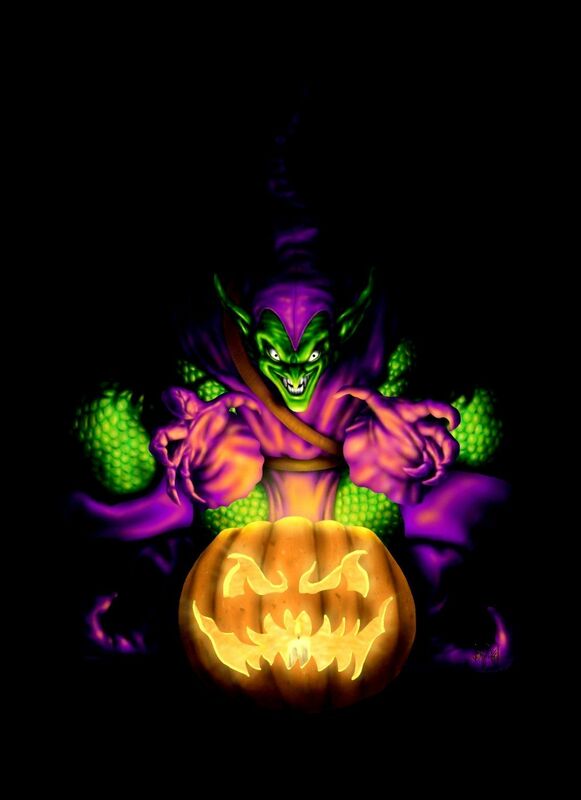 But, but, but...it's equally clear that his costume, weapons and entire persona is horror derived and, as such, I reckon he qualifies for this event. 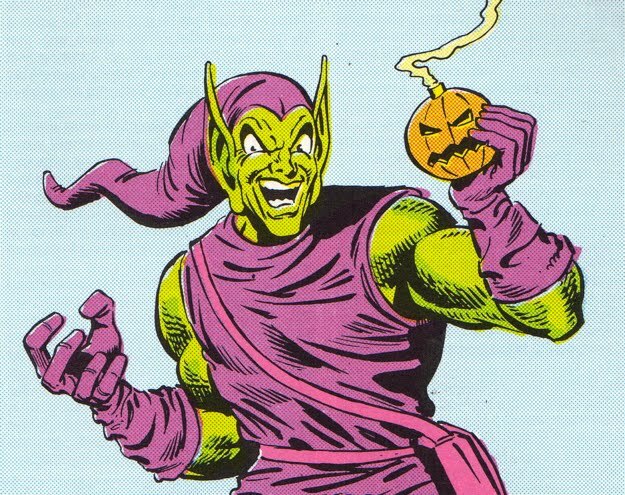 Yeah, the horror elements of the Goblin's costume and criminal persona are pretty clear. 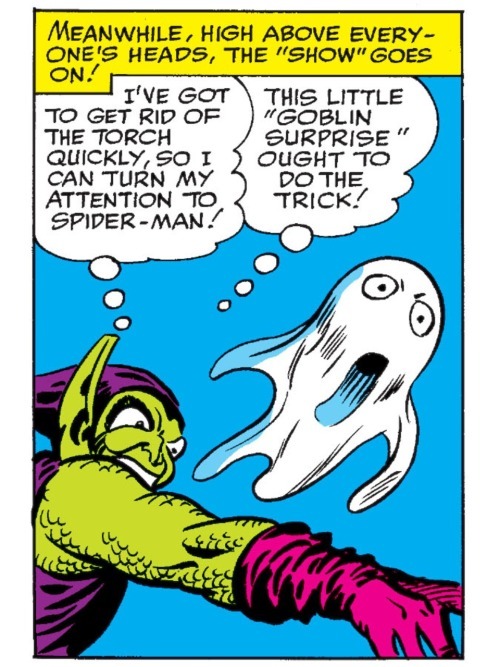 But, as I say, writers never seem to use him in a creepy or horror-themed way -- unless we're talking about the inherent creepiness of Norman Osbourn being bat-s**t crazy, of course. 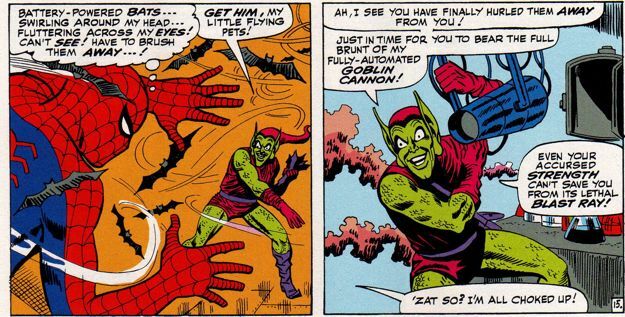 Despite not being entirely horrific in nature, the Goblin is, nonetheless, a truly fantastic supervillain and probably Spider-Man's one, true arch-nemesis. 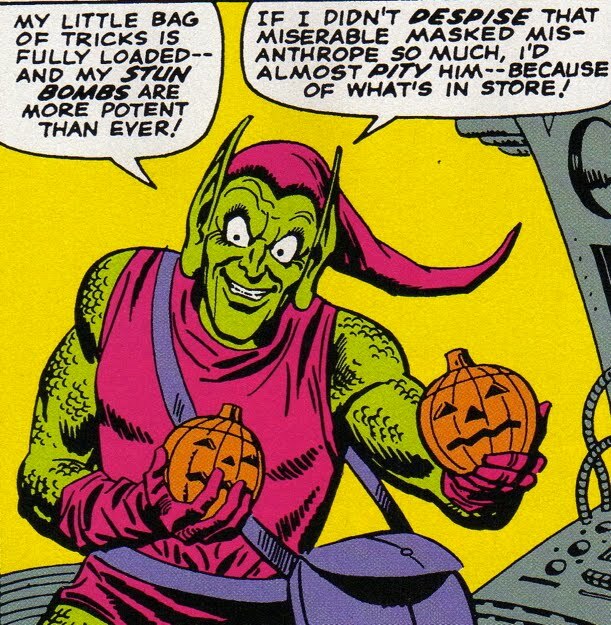 For my money, he's one of the greatest supervillains of them all and he was also the very first character I thought of when I heard what this year's Long Halloween theme was. 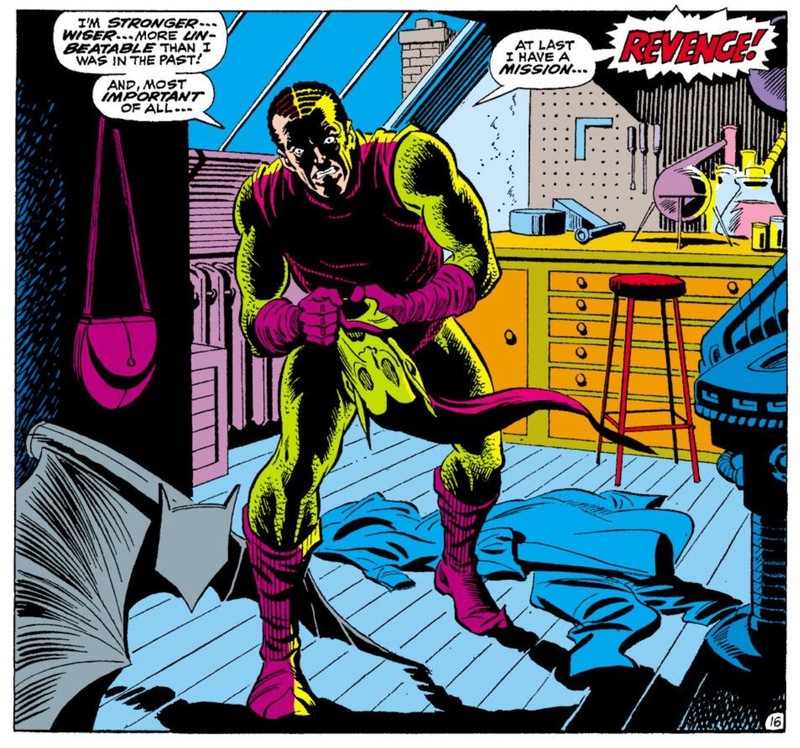 This panel is of course from before Marv Wolfman took over the writing duties on the series, and even before Tom Palmer took over the inking, but it's so perfect I couldn't resist using it. 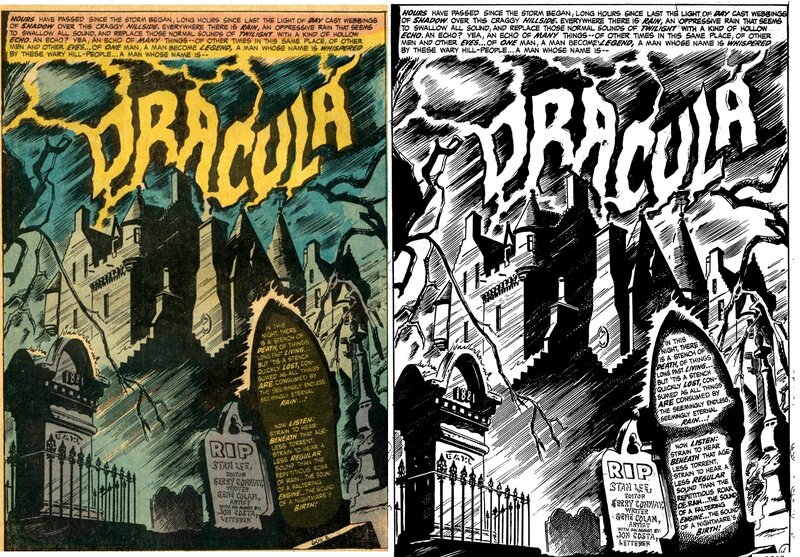 It makes me wonder what a Gene Colan self-inked Dracula series might have looked like - or one reproduced straight from his pencils, as in the later Nathaniel Dusk miniseries he did with Don McGregor. The fact that Dracula himself doesn't appear in this splash page - from ToD #1, I think? - but rather looms over the image as an ominous name is perhaps appropriate here because, as in Stoker's novel, it's the entire fictional world built around and through him that is really the star for me. At the same time, the fact that this character was the seed for at least two different masterpieces in different media that managed the rare and difficult task of working both as popular fiction and as serious literature (I'm aware that conventional opinion would concede the former but not the latter) makes Dracula an unavoidable choice for me in this year's CCB Long Hallowe'en.